Dear PR colleagues: Pls do not pitch earthquake-related stories unless you rep an earthquake preparedness company/expert. I wrote that tweet Wednesday afternoon in response to a tweet from Forbes media reporter Jeff Bercovici that he, like every other reporter it seems, had received an irrelevant earthquake-related pitch from a PR pro. For any PR pro who has jumped on the bandwagon and thinks that newspapers no longer matter, I urge you to read a great report just out from the Poynter Institute. 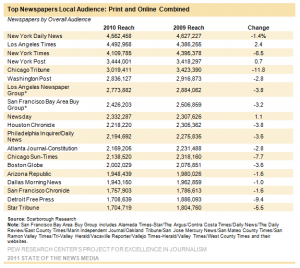 The report sought to measure the total online and print reach of newspapers in their local markets, and the results may surprise you. 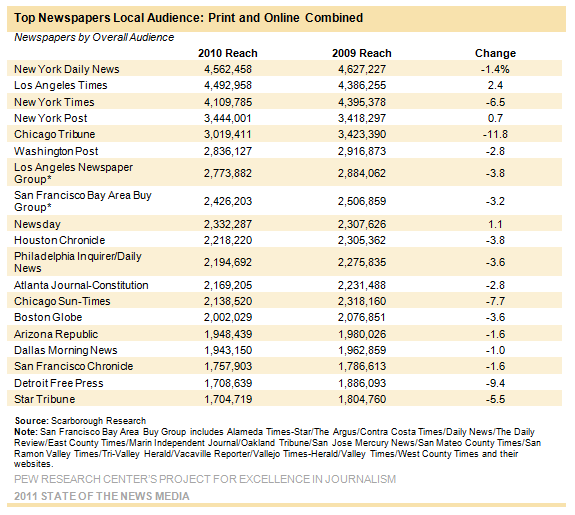 I don’t know about you, but if I’m able to tap into even a sliver of that size of an audience, I’m absolutely going to give newspapers a bit more of my attention going forward. We’ve had it on our calendars for months. March 10-15, Austin, TX. South by Southwest. Maybe you have a client making an announcement there. Maybe a new, young startup out to change the world. Maybe you represent a global brand rolling into town with a caravan. As a communications pro, you have a game plan. You’ve got your metrics and deliverables all set. It’s time to put those away for a minute. It’s time to figure out how you’re going to be a part of the amoeba-like mass that manages to keep in a constant state of motion. How do you, as a PR/communications counselor extract personal and professional value from an event such as SXSW? 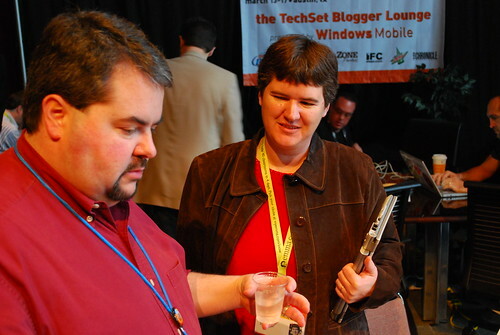 Jason Falls and Becky McCray at SXSW 2009. That's how I get down.. I can’t stress enough just how important relationships are. Even in today’s world of perpetual connectivity, it can be difficult to foster and grow a relationship without being present. Without being part of the conversations that happen in the real world. Without interaction. That’s why in order for you to extract value from SXSW, you need to embrace the subtitle of the conference: Interactive. 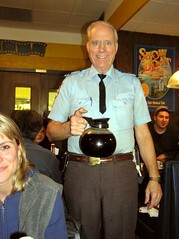 Set up coffees/happy hours/brunches with the folks that will be there that are outside your core list of media. Recognize other influencers such as the corporate bloggers of your company’s customers or analysts that tend to create more real-time content. It’s really hard to be a part of the mix from our offices. It’s difficult to maintain the currency of the PR industry — relationships — when the majority of people that we interact with are based at least two states away. There is inherent value to meeting with somebody in person. 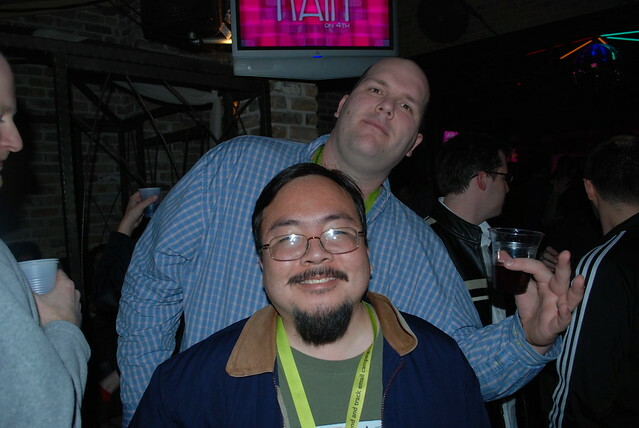 Me and @Hawaii, aka Ryan Ozawa at SXSW, 2009. You’re going to recap the event. Why not add a little color to it? If you’re at a tradeshow, fire up the video recorder of choice and take a tour of the show floor. Set up a Tumblr, Posterous account or posts for your company or agency’s blog to document the event in real time. I also like to take pictures at the events I go to. A few folks have written posts recently either defending why to go to SXSW or why not to go to SXSW. In my opinion, it is one of the single-most conferences you can attend as a PR person. Do you follow folks on Twitter? Do you subscribe to their RSS? Maybe it’s as easy as having a two-sentence “nice to meet you” email in your drafts you can send 30 seconds after you connect with somebody. The point is, you just met somebody, foster that relationship. You never know who you’re going to meet. A community or relationship does not occur spontaneously. They must be curated, maintained and developed. By having a strategy in place of how you as an individual communications counselor can continue to build your own little community after each event, you will see a significant increase in your event ROI. As we look forward to South by Southwest, community building should be one of the guiding factors of our presence down there. In order to influence the conversation, we must be part of the conversation. We must become influencers ourselves in order to influence the influencers. This is why we go to SXSW. Why are you going to SXSW?